The Annual Fund at Resurrection-St. Paul School is a necessary component to achieve our promise of delivering the highest quality Catholic education possible. The unrestricted funds raised through this program directly support the School's operating budget. Like most Catholic schools across the nation, our tuition alone does not cover the total costs associated with a private education. The Annual Fund bridges the gap between the income we receive from tuition and the actual cost of educating a child. A strong Annual Fund allows us to continue our efforts in providing a Catholic school of academic excellence. Monies generated by the Annual Fund help us offer competitive tuition, talented faculty, exceptional academics, and outstanding enrichment programs. Our goal in the 2018-2019 academic year is to have 100% participation by the Resurrection-St. Paul School community. We invite all of our family and friends to participate at some level of giving. 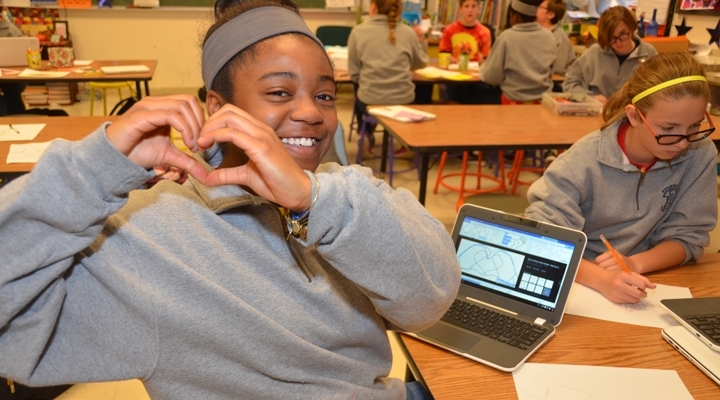 Your gift, whether large or small, will make a difference in our students’ education. We would be honored to have you join our family of donors by contributing to our Annual Fund. With your support, we can continue our mission of providing excellence in education in light of the teachings of Jesus Christ through the Catholic Church.